Not much to blog today. We drove from Tuscaloosa to the “sticks and bricks” and then to Oneonta to check on the aunts. We are pleased with how well they are getting along together and adjusting to the facility. We cooked a frozen pizza for supper and had watermelon for dessert. Anne is having some severe pain in her arm and doesn’t know what is causing it. She thought it was from using the power miter saw so much this week, but now is not sure. Pray for her. 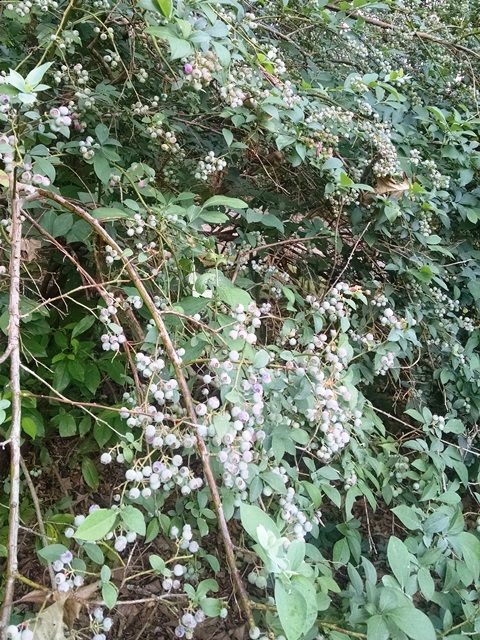 Checked our blueberries today and they are not ripe yet.